You may have heard of a Jeff Koons balloon dog, but have you heard of his lobsters? One of today�s masters of kitsch is Jeff Koons. 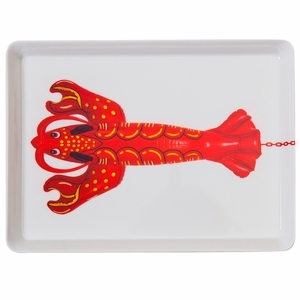 Whether you are a fan of Jeff Koons art or not, you can enjoy these lobster print kitchen towels and melamine trays for kitchen decor. Jeff Koons is a modern day Andy Warhol or Marcel Duchamp. 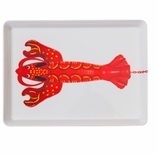 A Jeff Koons balloon dog bring a smile to your face and so do these lobster print kitchen accessories from kitchen towels to melamine trays. Besides many famous art installations like the puppy dog at Rockefeller Center in New York, Jeff Koons art has been featured in major shows at the Victoria and Albert, The Metropolitan Museum, the Art Institute of Chicago, the Serpentine Gallery, Versailles, the Neue Nationalgalerie in Berlin and the Museum of Contemporary Art in Chicago to name a few. Most recently, the Pompidou Center in Paris had a Jeff Koons art retrospective. 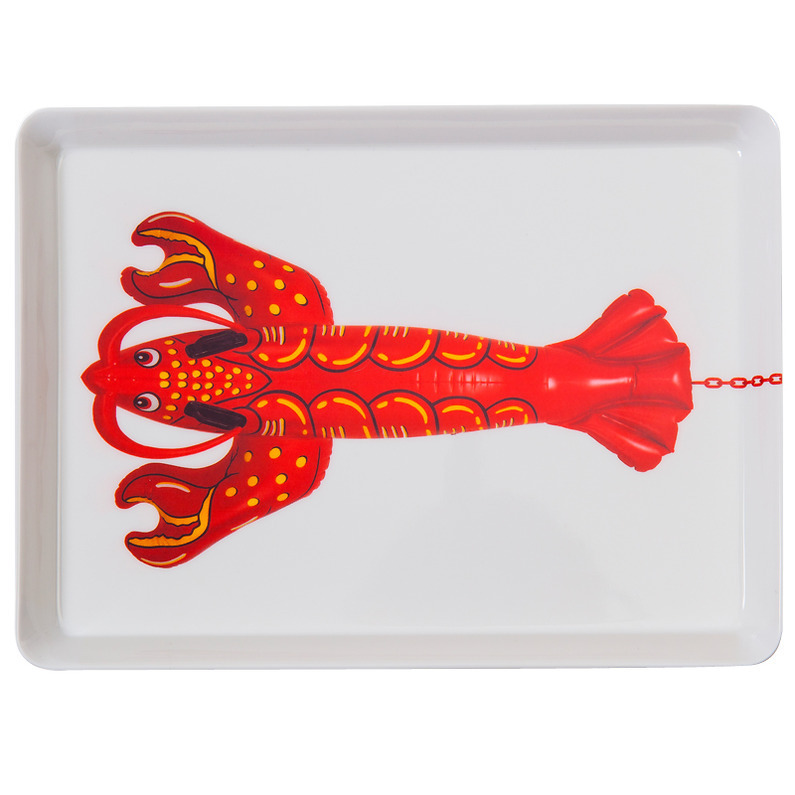 The red lobsters on our kitchen accessories were created for that art show. You can be sure there were plenty of Jeff Koons balloon dogs and lobsters too in the art show. We think Jeff Koons art is the perfect kitchen decor. If it�s good enough for Versailles, it�s good enough for our kitchen decor! Created for the Pompidou Center show. 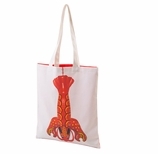 Part of the proceeds go to the Museum. 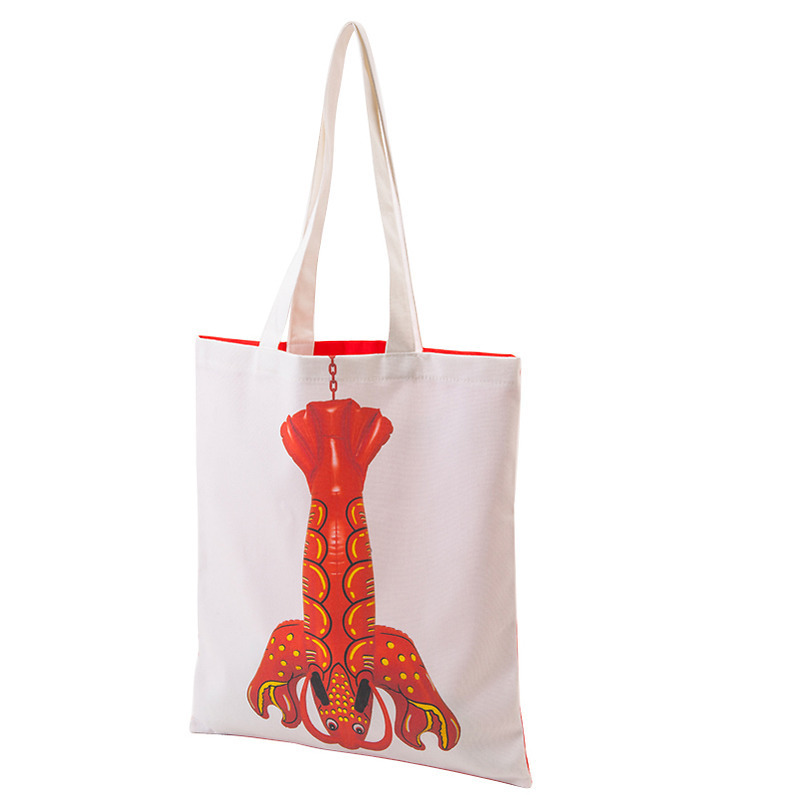 Jeff Koons art lobster prints are wonderful for beach decor and nautical decor.